Characters whose actors had big roles in both OUAT and LOST, which character do u prefer? Characters whose actors had big roles in LOST but smaller roles in OUAT, which character do u prefer? Characters whose actors had big roles in OUAT but smaller roles in LOST, which character do u prefer? Characters whose actors had small roles in both OUAT and LOST, which character do u prefer? I have a confession to make. I did not watch the ABC series “LOST” from the beginning. In fact, I did not start watching the series until (2.02) “Adrift”, the seconde episode of Season Two. However, I could barely maintain interest in the show, until the Season Two episode, (2.04) “Everybody Hates Hugo”. During its six years on the air, "LOST" managed to earn five Emmy nominations for Writing in a Drama Series. The series earned its seconde writing nomination for its Season Two episode called (2.10) "The 23rd Psalm". 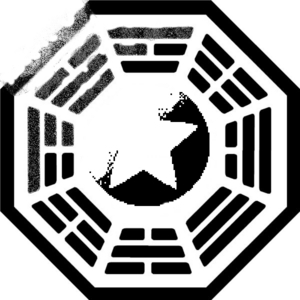 I cannot deny that "LOST" will always be one of my top, boven twenty (20) favoriete televisie series of all time. Nor can I deny that despite my feelings about it, the writing had been flawed on many occasions. If there is an episode that truly reflected my positive feelings about the series, it is the Season Two episode called (2.07) "The Other 48 Days". The pilot episode of some of my favoriete televisie series have rarely impressed me . . . if not at all. There are a few exceptions to the rule. And one of those exceptions happened to the be pilot episode for ABC-TV's "LOST". a comment was made to the poll: Characters whose actors had big roles in LOST but smaller roles in OUAT, which character do u prefer? a comment was made to the poll: Characters whose actors had big roles in OUAT but smaller roles in LOST, which character do u prefer? a comment was made to the poll: When was the last time u watched LOST? a poll was toegevoegd: Who is meer cute? DHARMA LOGOS: Which DHARMA station does this logo belong to?